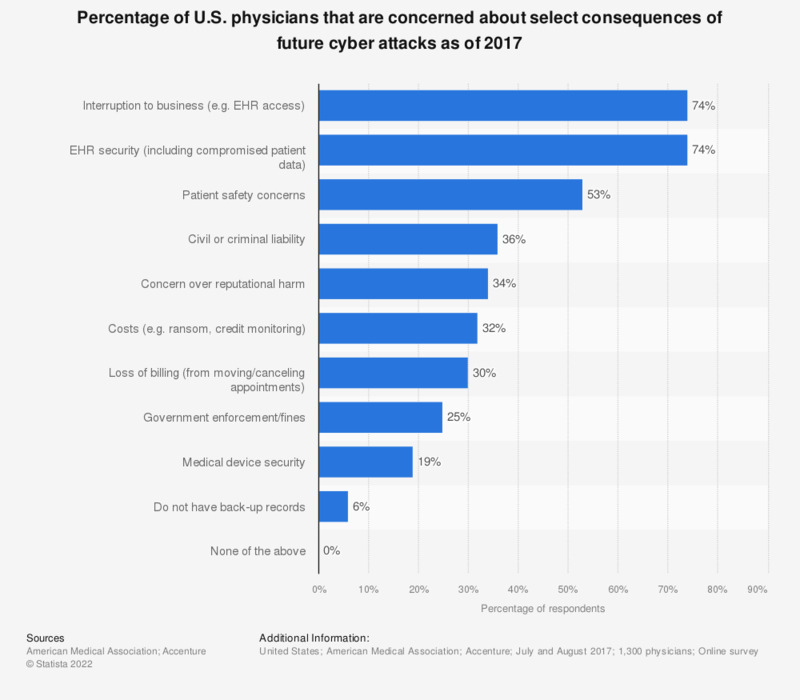 This statistic depicts the percentage of physicians in the U.S. that are concerned about select consequences of future cyber attacks to their practice as of 2017. According to the data, about 74 percent of respondents indicated that both an interruption to business and EHR security were areas of great concern for them regarding future cyber attacks. Original question: "What concerns you most about future attacks (select up to five)?"